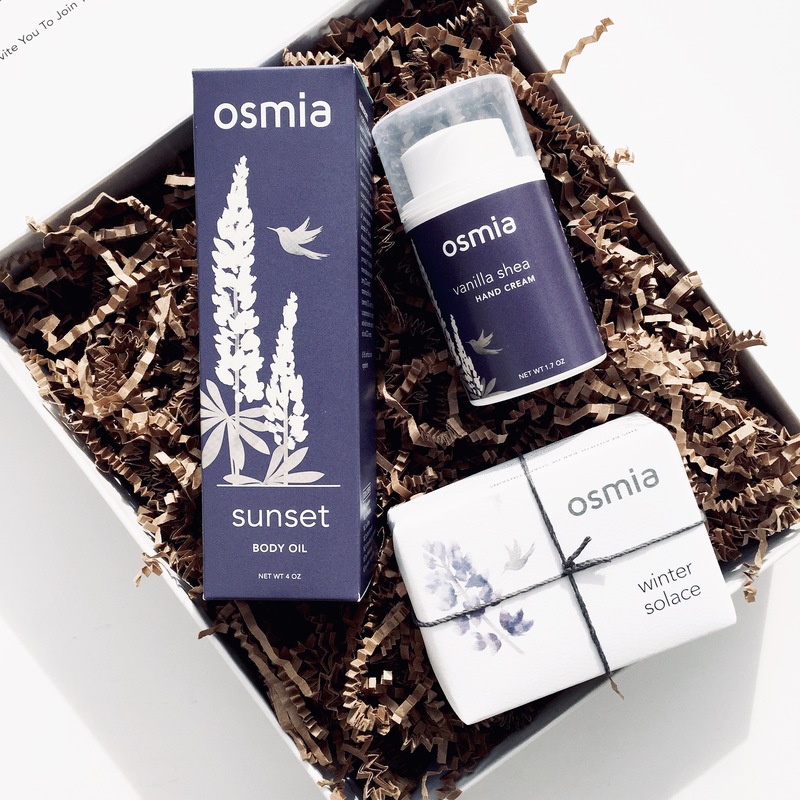 Osmia Organics was created by a Physician, the lovely and incredibly kind Dr. Sarah Villafranco, who decided she wanted her career to reflect her love of plants and all they do for us. 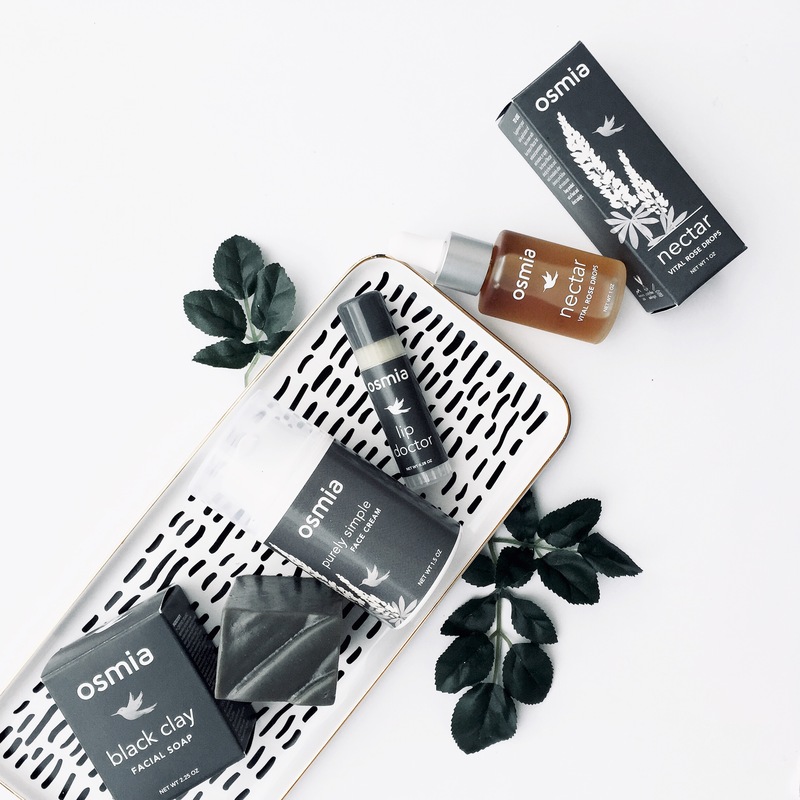 She began working on Osmia in 2010 and has since created one of the most adored brands to hit the green beauty market. Her full story of how she began Osmia is one I truly resonate with.. 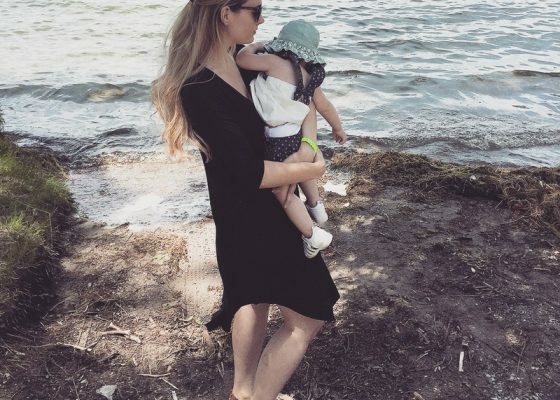 I too left a career in healthcare as it didn’t seem to fit with my new role as a Mother. She worked hard for years learning how to develop organic beauty and talks about all the trial and error as well as achievements she experienced in her bio HERE. If you’re anything like me, you appreciate understanding whats behind each brand. I have been fortunate to land myself in this green beauty world, working with some of the most genuine and kind hearted people. I have found that when I read the development behind a brand (the “why’s” and “how’s” of its creation), I connect so much more to the skin care treasures I use. Call it a form of mindfulness. In addition to connecting myself to brands and their stories, I am deeply connected and affected by the sensory experience a product offers. I have always been prone to sensory overload (something that many experience) but with that also comes a deep appreciation for sights, smells, tastes, and feelings that provide a positive experience. Interestingly enough, I didn’t realize at first that Osmia was created specifically with our senses in mind. The word “Osmia” actually means “sense of smell”.. and do these products ever deliver in that department! I actually learned all of this AFTER I fell deeply in love with Osmia and its rich smells, amazing looking soaps (seriously, go look at the pictures of them), and decadent textures. I knew these products were going to be integrated into my routine for good, but after reading through the brands mission and “about” section, it became very clear to me that they certainly met their goal to deliver not only a high quality product, but an experience. Charitably Partnered with One Tree Planted, a Vermont-based non-profit organization. For every order placed, one tree will be planted! 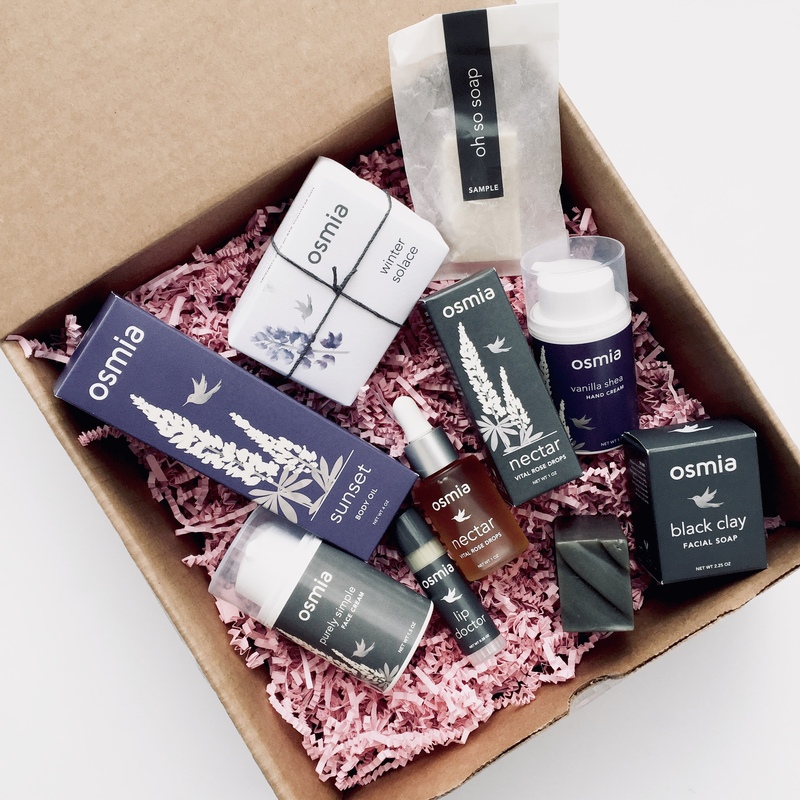 I think it’s incredibly important to note that Osmia is a fantastic option for men as many of the products would be considered unisex. They’re also relatively easy to work into a daily routine, because if any man is like my husband its very hard to ‘add to the routine’. My top choice for men are the purely simple face cream, lip doctor, Oh so soap, Black clay facial bar and vital rose drops (if they need a little extra boost to their skincare or maybe beards). The scents are perfect for both Men and Women, fall more to the herbal/earthy side and deliver an amazing experience when using them. 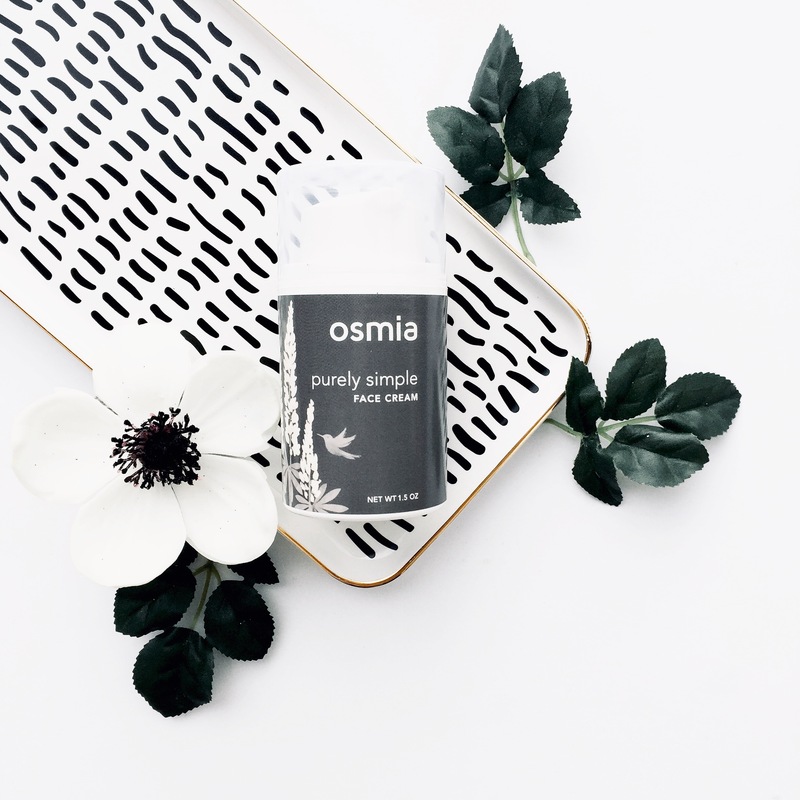 From my experience, Osmia is a gentle yet powerful line that will improve the health of skin over time. They use ingredients that do not strip you of your natural oils or disrupt your skin barrier, and are sourced well from regions around the world. I’ve included more in depth reviews of each of these products below, just scroll on down to read about each product and learn about their benefits, what skin types they work for, their ingredients and my personal thoughts after having tested each and every one of them. They’re truly amazing and will be loved by both Men and Women! 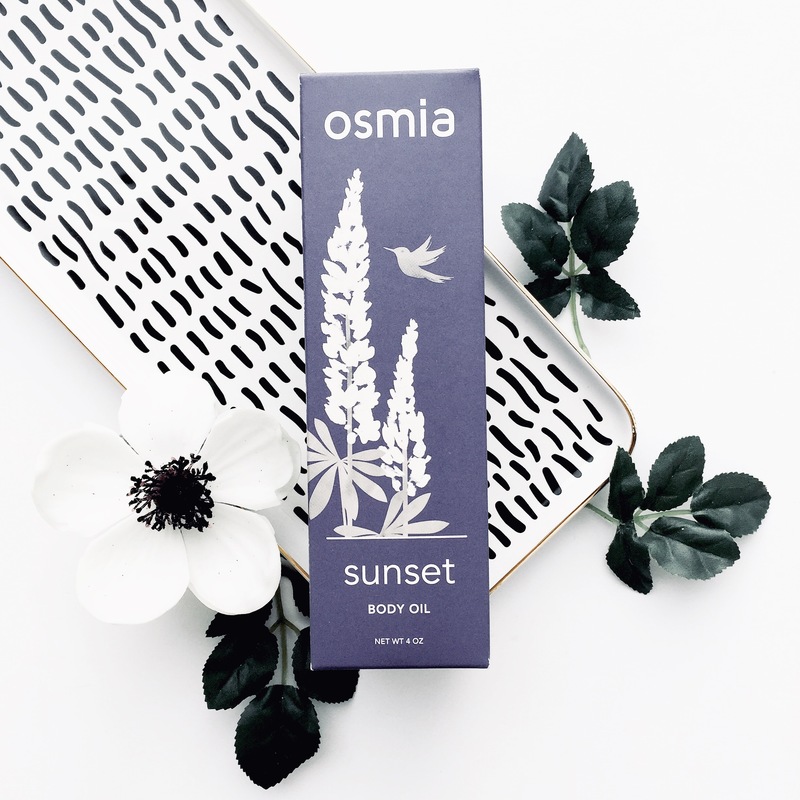 My Review (Night oil): if you’re not necessarily a body oil person, Osmia is the one brand that will completely change your mind. This is exactly what happened to me when a bottle of their gold hues magic showed up in a subscription box at my door a few years ago. I began using their “Night” body oil and was instantly hooked. These oils are not greasy and soak directly into your skin upon application, you can get dressed immediately. They almost have the absorbency of a dry oil but still hold the hydration of an oil that are emollient and keep your skin ultra hydrated. Their Night Body Oil is a great addition to anyone’s bedtime routine, particularly if you have a hard time getting to sleep. This blend of essential oils is so calming/soothing and meant to help lull you off to dream land. The notes are a blend of lavender, Roman chamomile, and atlas cedarwood. 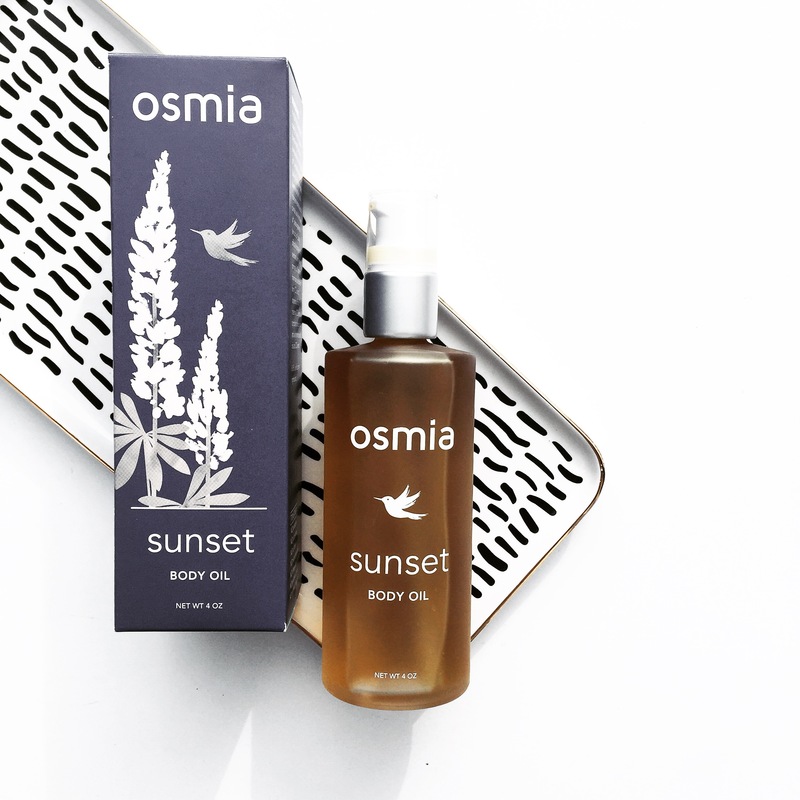 My Review (Sunset oil): Then, I recently tried one of their most coveted body oils.. one that flies off the shelves as soon as it’s stocked and after trying it myself I completely understand why. The Sunset Body Oil is one of the most delicious treats I have ever used on my body. The smell is intoxicating and has a healthy dose of Madagascar vanilla which is one of my favourite notes. It’s blended with jasmine, coriander, and italian bergamot which round our the vanilla beautifully and create a bit of a brighter scent. My toddler has actually told me I smell good every time I have it on, and we all know that toddlers don’t lie. Sunset was actually out of production for the last year as their was a worldwide shortage of vanilla. 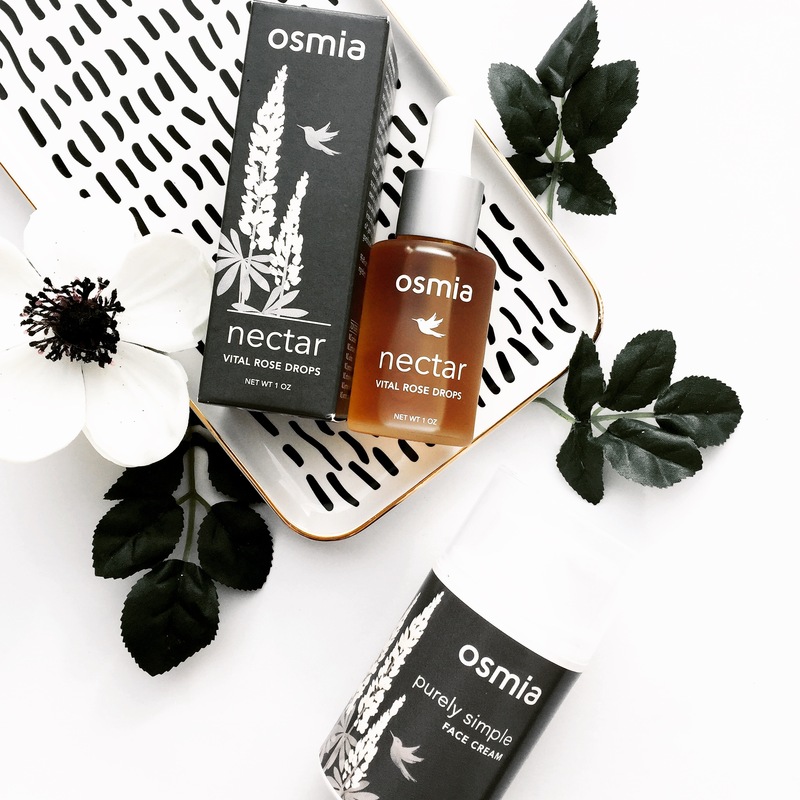 Osmia was finally able to start creating a batch before the holiday season this year and the first round sold out immediately. This is hands down my favourite body oil to date and one I will personally continue to stock on my bathroom vanity. If I had the option to order a bath tub filled with this stuff, I totally would! My Review: I have always looked at their soaps and loved the details of every aspect, they create the most gorgeous blends of essential oils and raw ingredients like vanilla, the swirls and patterns in the soap are beautiful to the eye and they’re quite large (last anywhere from 2-4 months depending on use and proper storage- you can have a look at their Soap Saver HERE to keep your soaps from melting away or slipping off the edge of your tub). Their soap bars are made of saponified oils so you won’t notice any stripping of natural skin oils and hydration is retained really well after use. Using Osmia’s soaps is a complete experience, and I always feel a little extra pampered when I step out of the shower smelling delicious. 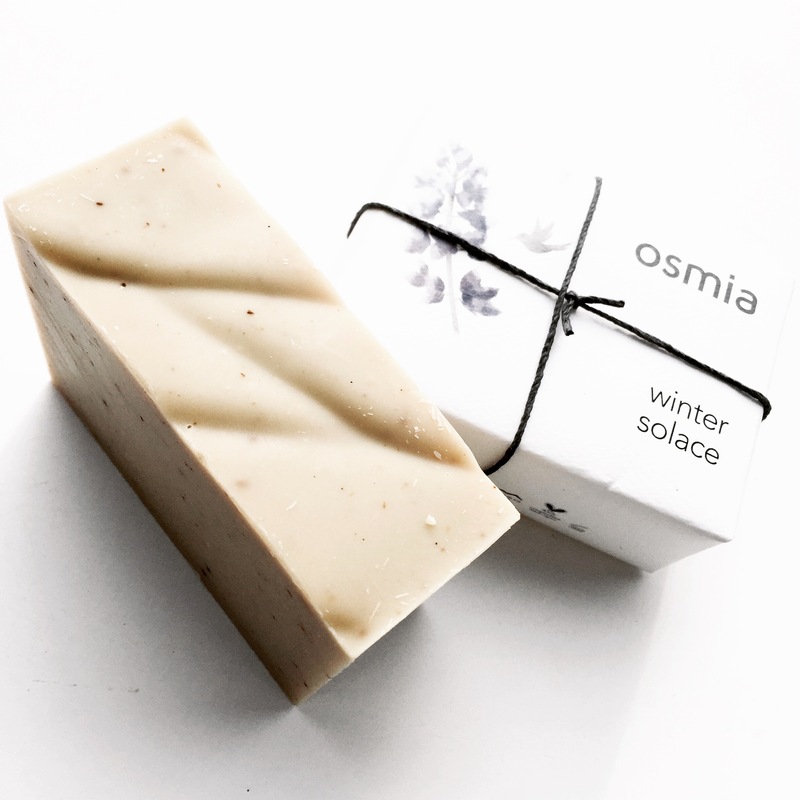 I am currently using one of their holiday releases in my shower, the Winter Solace Soap, and it is nothing short of scrumptious! I was also able to test out the Oh so soap, which is a great option for anyone who deals with skin conditions such as eczema, psoriasis, or dryness prone skin. It is made WITHOUT the use of essential oils which can be too much for some skin types. It is also comprised of skin nourishing ingredients like mango butter and olive oil. If you have been on the hunt for a body wash or soap that doesn’t aggravate your sensitive skin type, I would highly recommend giving this option a try! My Review: The Vanilla Shea Hand Cream is the perfect hand cream to have in your bag when youre out and about in the colder months (or year round if you’re a Mother like me and always have your hands in the sink washing dishes). 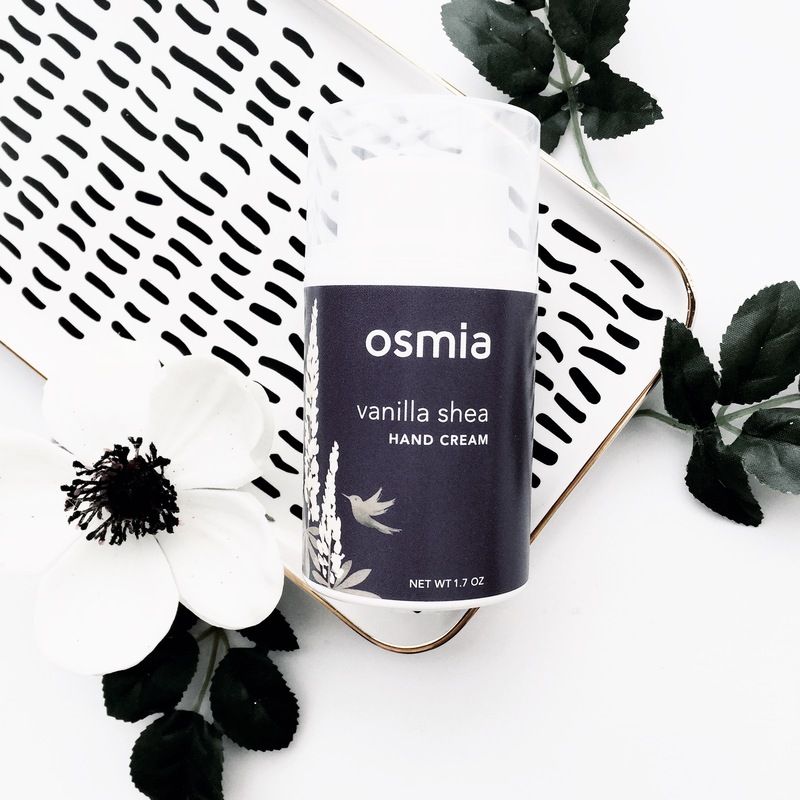 Osmia creates my top pick for hand creams, the texture is rich and thick, they aren’t watered down lotions like many other hand creams are which don’t absorb well and leave your hands feeling wet and greasy. They create the most soothing velvety finish and really work at penetrating beneath the skin to get to the source of any dryness. Their hand creams come in both Vanilla Shea scent and a Linden Rose scent. I use the Vanilla Shea scent myself and it is soft, calming and not too overpowering. It is a blend of aloe vera and organic shea butter and does not sting if you have cracked hands. It is the perfect hand saver, damage repairer, and preventative hand cream. Of the two scents, the vanilla shea would likely be the choice for men if you’re looking for a unisex option, as its scent is not too overpowering or feminine. 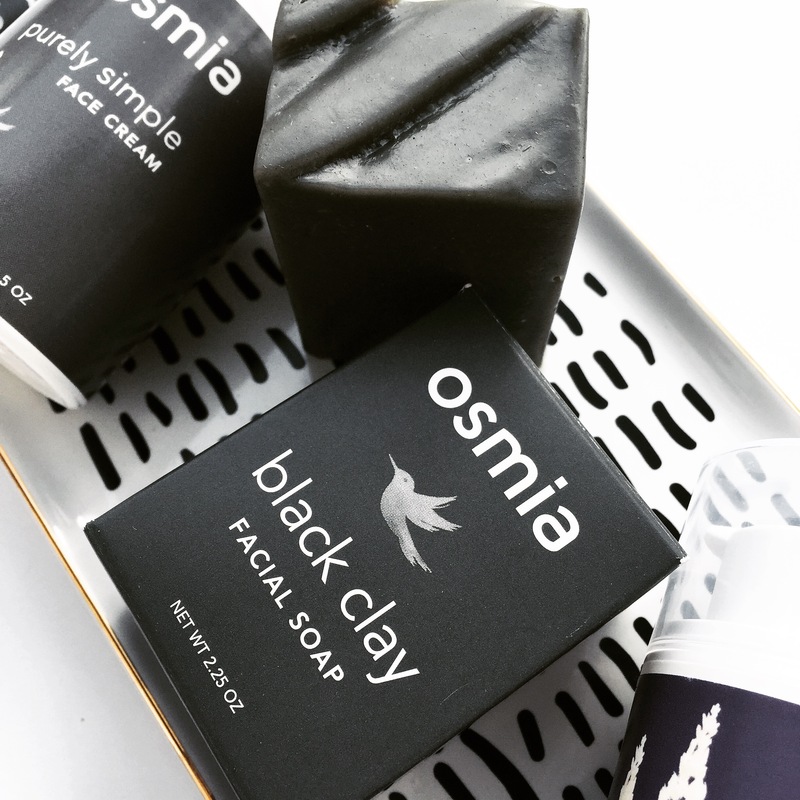 The Black Clay Facial Bar is one of Osmia’s best sellers and after trying this facial bar, I can completely see why! I am usually strongly against soap for the face, but this one is not in the same category as the others. It is not made with harsh cleansers that strip your skin of natural oils and leave you dehydrated and red. In fact, its quite the opposite.. its made with blends of nourishing oils, clays, coconut milk, and organic blends of essential oils that are gentle to the skin. It lathers well and cleanses the skin to feel refreshed yet protected and ready to spritz on some toner and soak up some serum and moisturizer. This soap bar is good for a whole range of skin types: normal, problem as well as combination skin types are definitely going to benefit from its rich ingredients. It is made safe for those who have perioral dermatitis. If you have sensitive or redness prone skin, it might be a good idea to patch test on your arm, as advised by Osmia. I personally have very reactive skin and have not noticed any ill effects from using this bar of soap. In fact, it hasn’t caused an ounce of redness for me after washing. As many of you know, my allegiance is STRONG to oil cleansing.. but every once in a while an alternative option comes around and surprises me. I would put the Black clay facial soap in my list of cleanser recommendations without hesitation. This bar is set to last 8-12 weeks if stored properly and is a fantastic value at $24.00 for its life expectancy. As with many Osmia products, you can also add a sample size to your order at just $5. I am SO excited about the Purely Simple Face Cream.. I don’t often use face creams as.. again, avid oil lover! I couldn’t resist sharing this one though as this face cream hits all my check boxes (and is actually made blended with some oils within its recipe). It is a fantastic option for BOTH men and women. Women who prefer not to use oils during the day under their make up but still want a good quality moisturizer would benefit greatly from this cream. It leaves the skin plump and dewy but not overly slick so no makeup slide will occur here, ladies! This cream also comes with an olfactory experience as the smells of the essential oil blend is SO intoxicating. It has the most decadent herbal notes and after applying I always take a deep breath and breathe in whats left on my hands. I have been using this cream day and night to really get a feel for its quality and how it impacts my skin. So far, it has kept my redness at bay, has left my skin feeling baby soft and I’ve noticed a softening of the surface of my skin (tiny bumps be gone). At night, when I need an extra dose of nourishment, I have been adding the Vital Rose drops (see below) to the cream to really boost hydration and help repair my skin overnight. Such a treat! 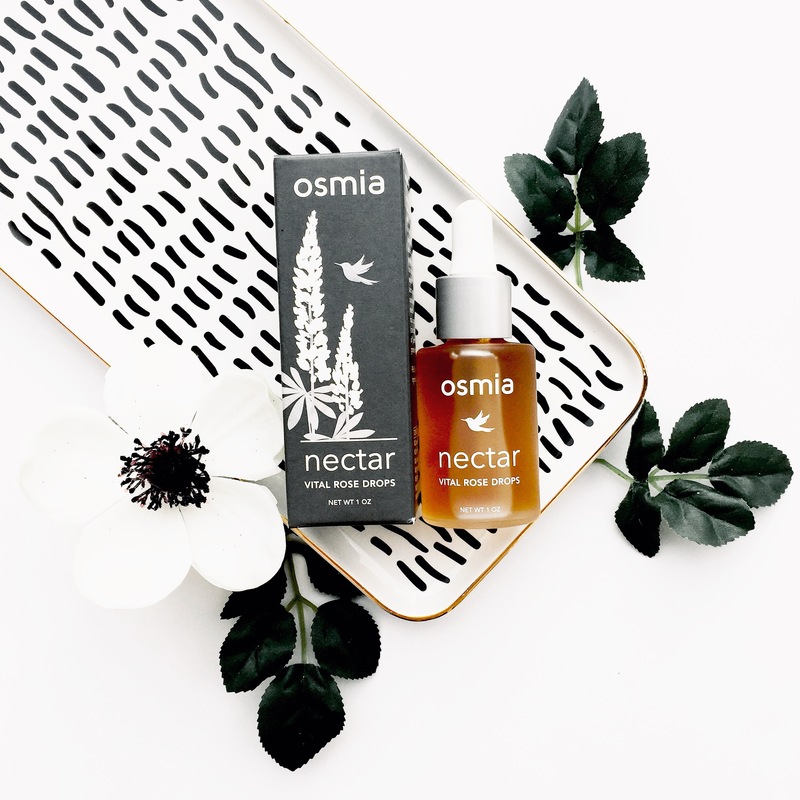 Osmia’s Vital Rose Drops are a skin care treasure. These little drops of golden magic are made of some of the highest quality ingredients you could find for skincare. Many of my favourite skin treats contain some of the same ingredients that are all listed in these drops, including: argan oil, pumpkin seed oil, prickly pear seed oil, rosehip seed oil, bulgarian rosa damascena.. amongst other high quality and well sourced ingredients. It is an absolute treat for the skin. You simply add four drops to your favourite moisturizer (pairs SO well with the purely simple face cream listed above). 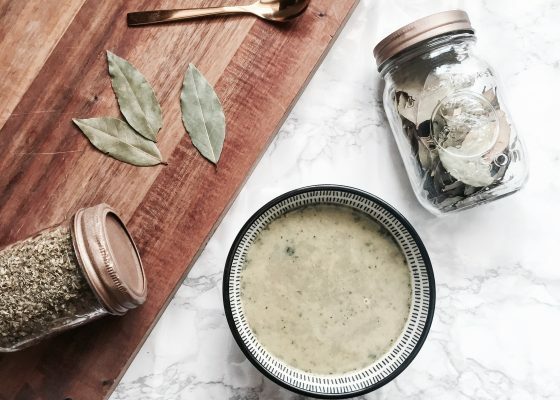 It adds an extra boost of nourishment and moisture to your skincare product. I love using this at night time when my skin has time and rest to repair. I wake up with glowing and healthy looking skin and it adds that extra somethin’ somethin’ that I need at night in my skincare routine (night time is when I get a bit “extra” with my skincare). If you want to boost your skincare, consider adding these drops to your favourite moisturizer. 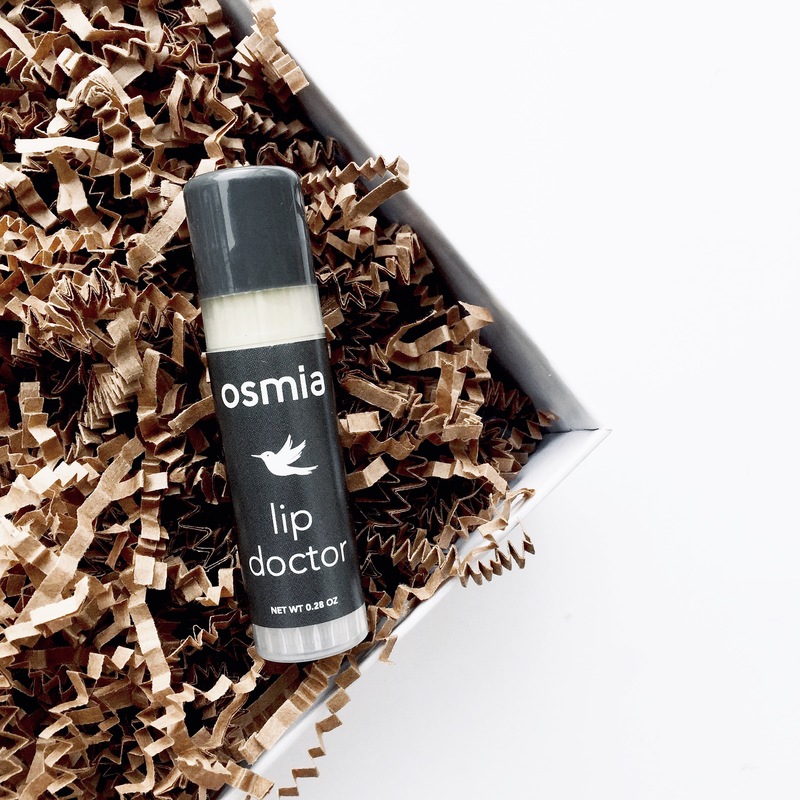 Osmia’s Lip Doctor is hands down my favourite lip balm and has been for a few years now. THIS is the lip balm you need during the colder winter months and the summer days spent in the sun. It replaces all of those conventional lip repair balms that are packed with ingredients that I prefer not to use, particularly near my mouth. Lip doctor is made with only 6 ingredients (that should not be underestimated) and is made without any essential oils as they have the potential to irritate chapped or peeling lips. After reading about this lip balm, it was made when the founder of Osmia was dealing with chapped/peeling lips but was reacting to a component of castor oil that is found in many balms. This small but mighty balm did the trick and is now one of the most loved lip balms in all of green beauty. 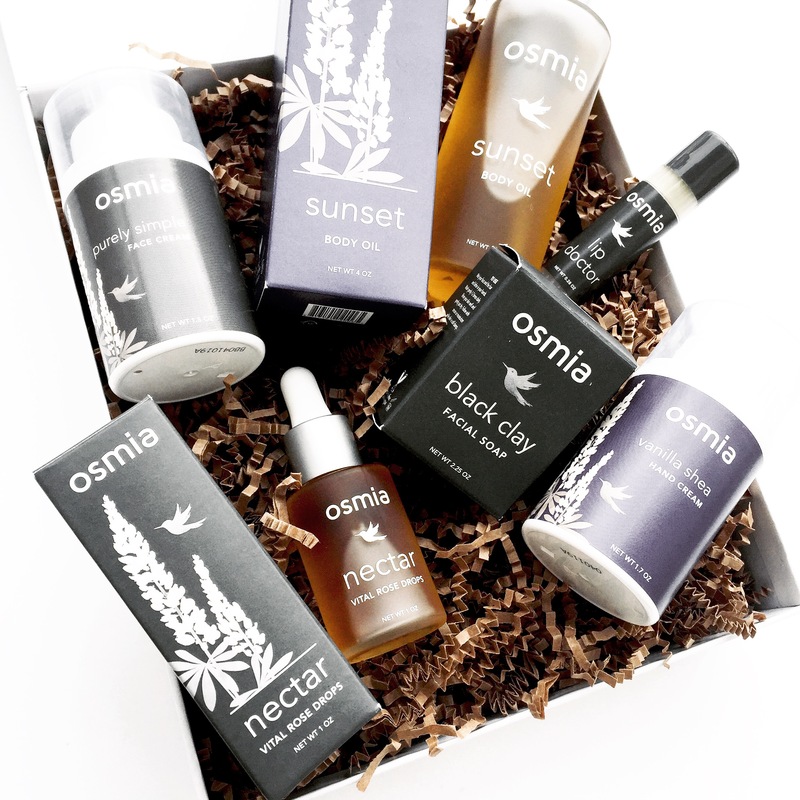 Osmia has made it to the top of the list of some of my green beauty recommendations. 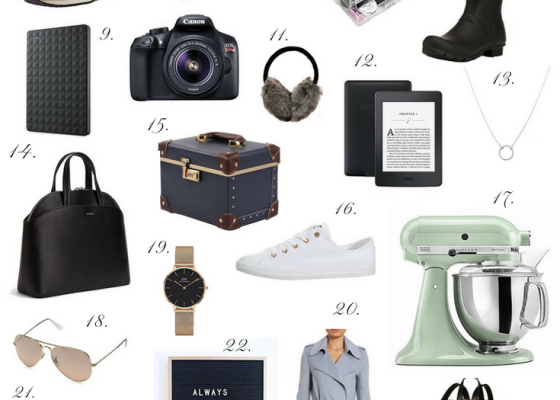 If you want to check out their story and their products, you can head to their website HERE.